Our London based agency has placed over 700 nurses from the Philippines to the NHS UK and has a goal of deploying 2,000 nurses to the UK for 2016-2017. We have urgent openings for nurses to be placed in NHS Trusts as well as Care Homes. We are accepting ALL nurses working locally or presently working abroad! We need registered nurses with at least 1 year hospital experience. 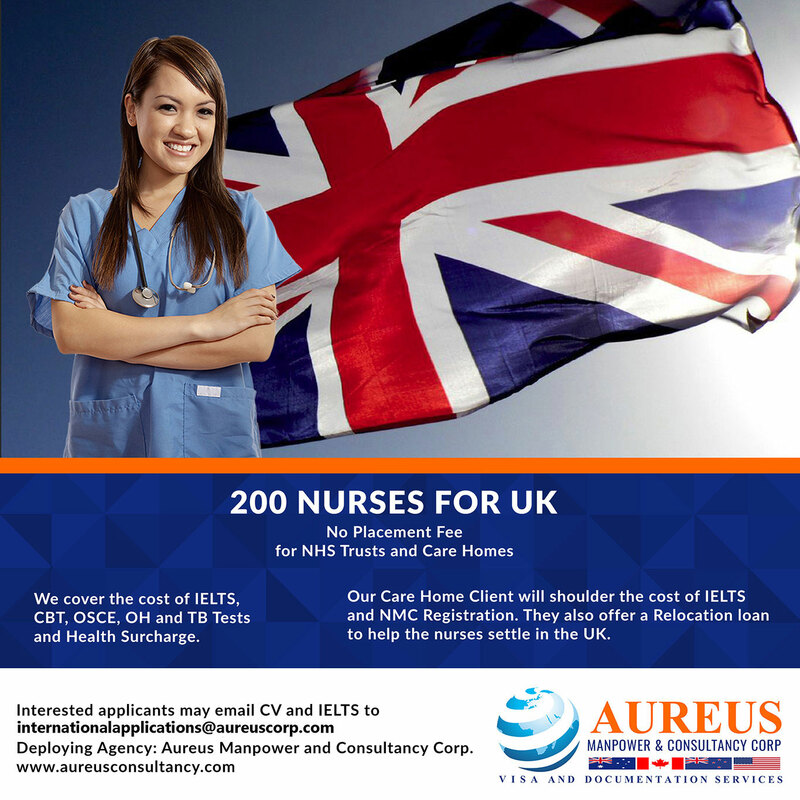 Aside from NHS Hospitals we also have a Care Home Client which will shoulder the cost of IELTS and NMC Registration. They also offer a Relocation loan to help the nurses settle in the UK.